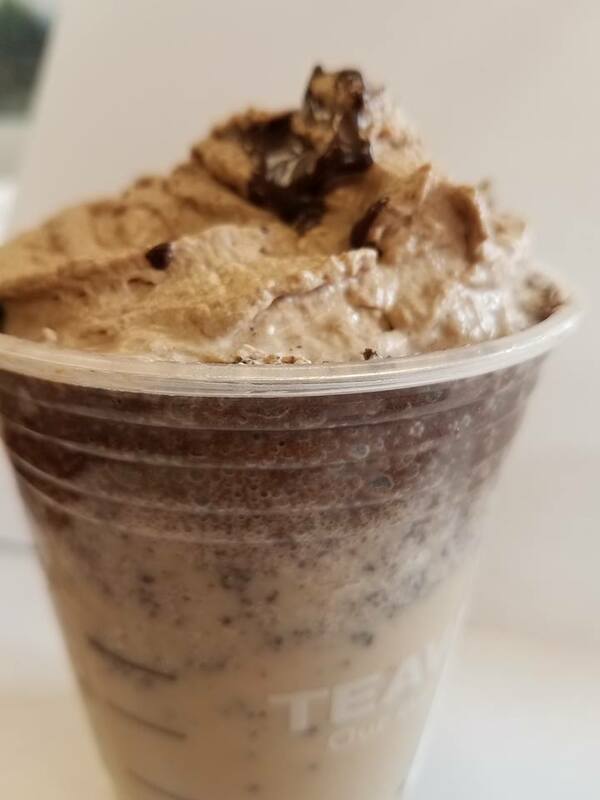 Take your espresso which is on top of dark chocolate chunks, blended with mocha infused milk, and then drizzled with chocolate espresso sauce and topped with mocha-infused espresso whipped cream. OMG yum. 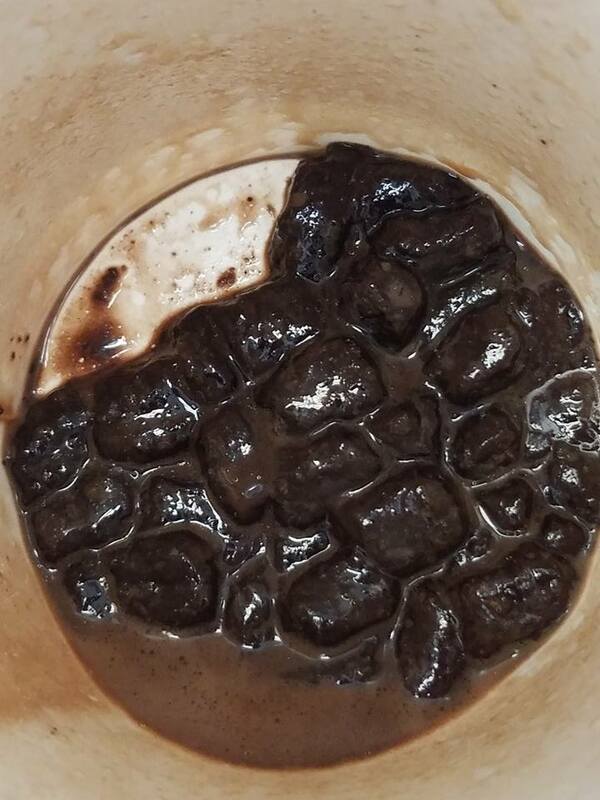 I got a hot one as a Starbucks Molten Chocolate latte made with soy that had no whipped cream on it. Or perhaps it melted because I had one other stop to quickly make before going back to the office. And then I was so eager to sample it that I forgot to take a picture of it until I had already gulped some down. Sorry! But look at all of that chocolate goodness that awaited me at the bottom of the cup. 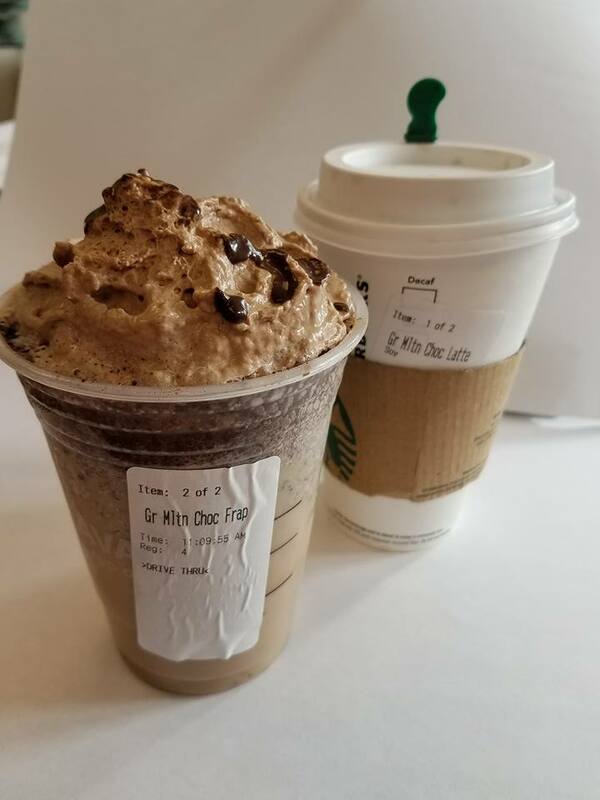 And because today is the last day, I also had to get it frappuccino-style. Just look at those layers! The taste of it is like the jamocha shakes that my grandmother used to get for me at Rax. (Do you remember Rax? We had it before Arby’s came along and knocked them out of business.) It is so good! 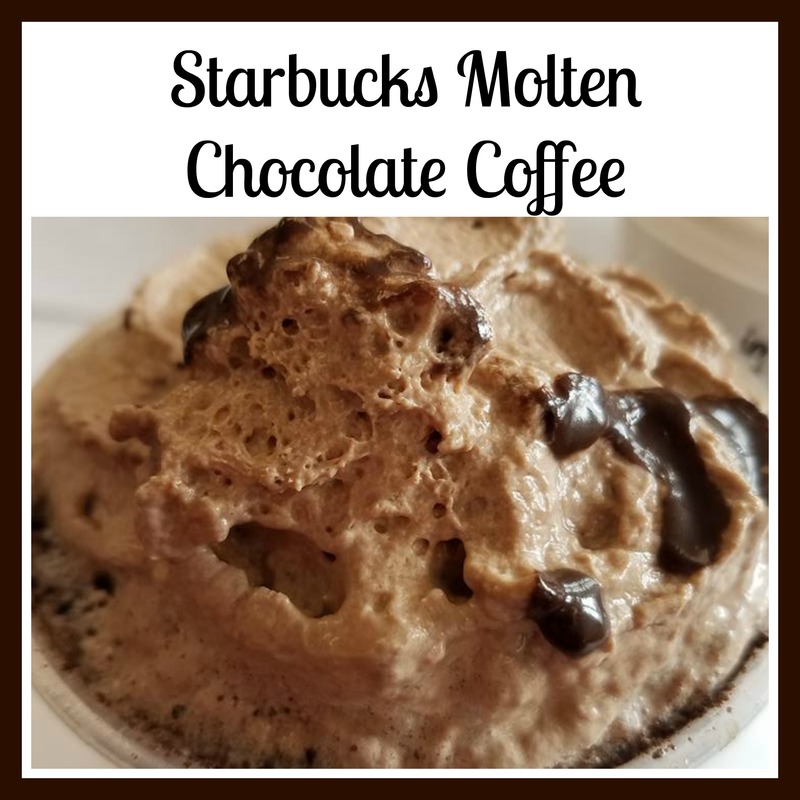 There is also the Starbucks Molten Chocolate Hot Chocolate available. Basically it is the latte, but with no coffee, and all mocha infusions are done with decaf espresso. It is very tempting to have as a dessert on my way home from work, before dinner, because chocolate. But that may be overdoing it, even for me. And I just looked down at my shirt and somehow have chocolate on it. I guess you can say that I am just displaying my love on my chest. Or something. So that is my Valentine’s Day gift to myself. May your day also be filled with coffee, chocolate, and lotsa love.